Jeremy, the tank is awesome! The aquatic section alone is now home to more than 40 different types of fish, including a 2ft long, giant gourami. There was an aquatic centre here before but it was very dated, it has had a total overhaul by Aquarium Services. Ms V. May - Moulton College, Northampton. 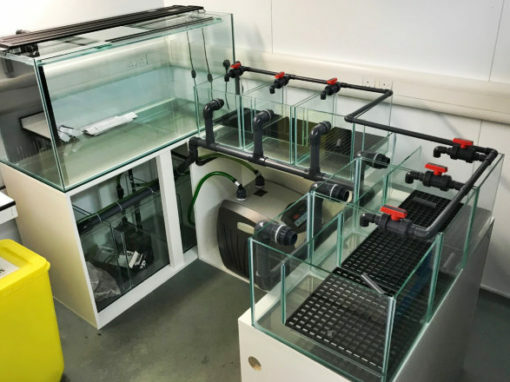 We had some very peculiar requirements for these research tanks, which Jeremy and his team took care of professionally and efficiently. 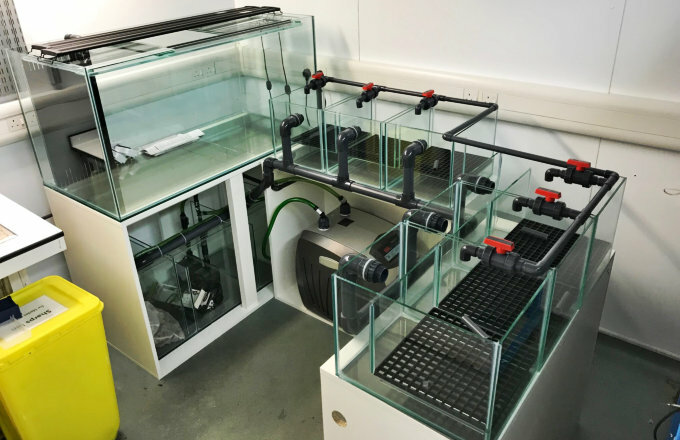 The tanks are perfect, the set up is easily modifiable for a variety of experiments, and the bespoke filtration, heating and husbandry systems are working well. These aquaria will be key for our work for many years to come. From my initial email enquiry the communication was superb, Jeremy responded promptly to all my emails answering my many, many questions, guiding us with photos showing the frame needed and providing expert help and advice. Nothing was too much trouble. On delivery day Jeremy called us en route so that my husband could meet him at home. The whole process has been seamless. Nothing is too much trouble. I cannot recommend them highly enough. I’m very excited to unveil my new tank in a couple of weeks. Thank you so much. 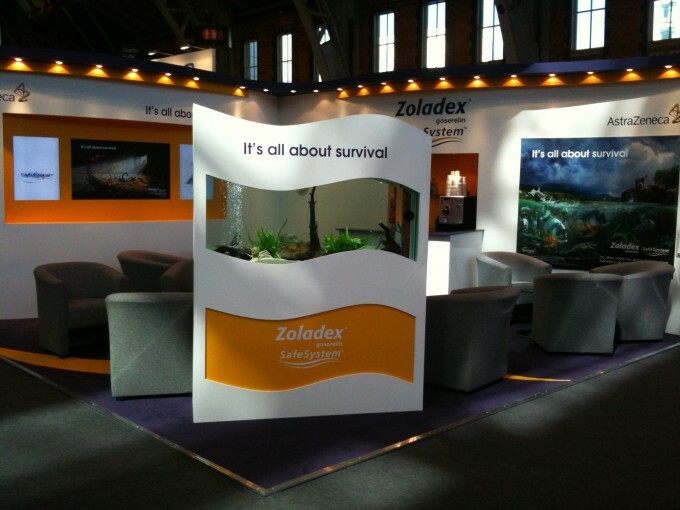 We worked with Jeremy to devise how we could incorporate a tank of piranhas into an exhibition stand design for one of our clients (Astra Zeneca) with relatively short notice. Many in the field will know that water and exhibition stands aren’t usually a pain free combination, and adding live (and somewhat dangerous) fish into the mix was going to be challenging. The nature of Jeremy’s experience was, of course, not in the temporary installation we required but his applied knowledge and contribution to the team to develop how we could do this was extensive. His advice and subsequent implementation matched our enthusiasm to deliver. I have no doubt that Jeremy could apply his skills to any project. 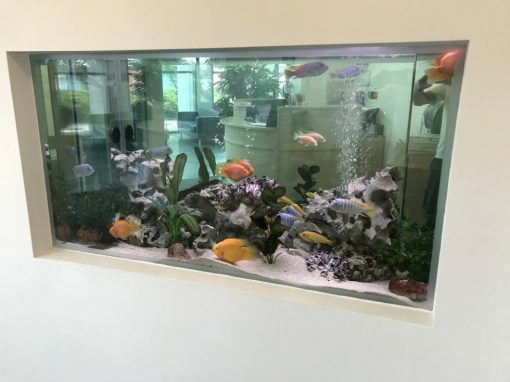 Jeremy installed an aquarium in our new surgery in 2010 and his company has maintained it since. We are delighted with the tank, our customers love it, especially their children and the fish are happy too! Having spent several weeks researching various different aquarium companies, I decided to go for Jeremy which was the best decision I have made! His service from day one was beyond my expectations and was worth every penny spent. 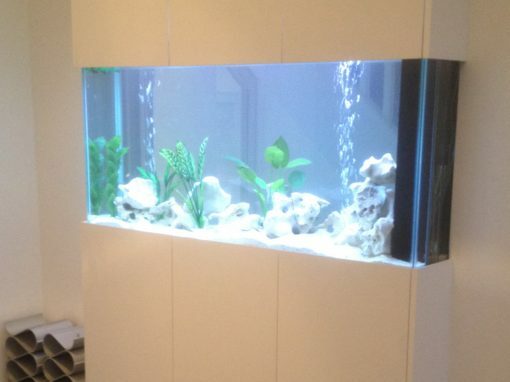 I have constantly messaged Jeremy regarding my bespoke aquarium and he has always been very patient. I am beyond happy with Jeremy’s aquarium which has been the best addition to my home! Thank you Jeremy! 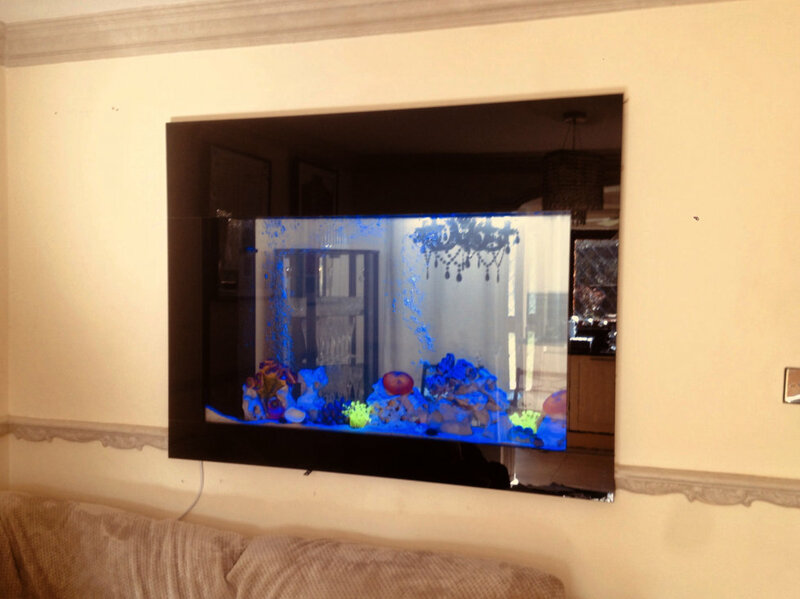 I set up Aquarium Services in late 1995 after several years in the trade. I could see back then that there was an opening in the market for a business specialising in low maintenance aquariums at reasonable prices, custom built to clients’ requirements and across the UK. My strength is that as a small business owner I deal with all aspects of your aquarium design and installation, from initial enquiry to installation and beyond. I am very proactive and enthusiastic about every aspect of the business. 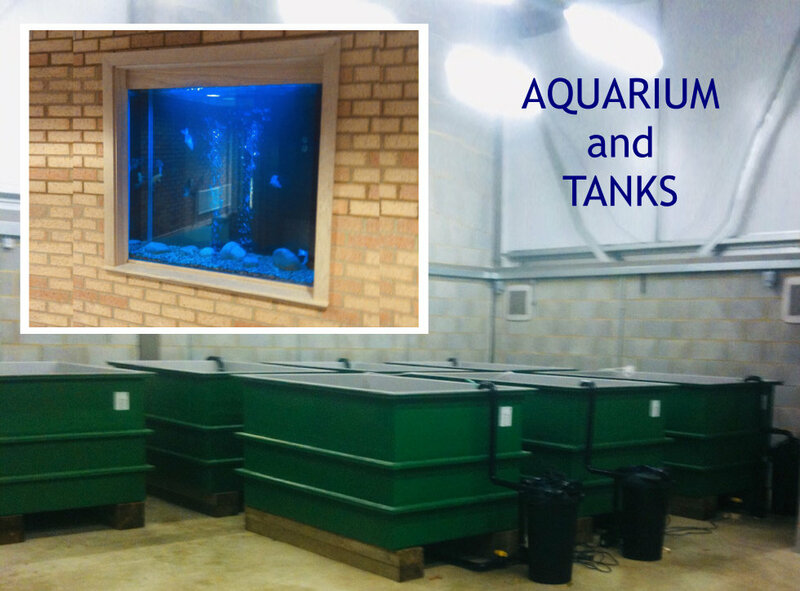 Based centrally in Cambridgeshire, we are well placed to cover the whole of the UK and have installed aquariums all over England, Scotland and Wales. Over the past 25 years I have personally overseen every project at Aquarium Services, and have ensured that my clients’ satisfaction is a priority. 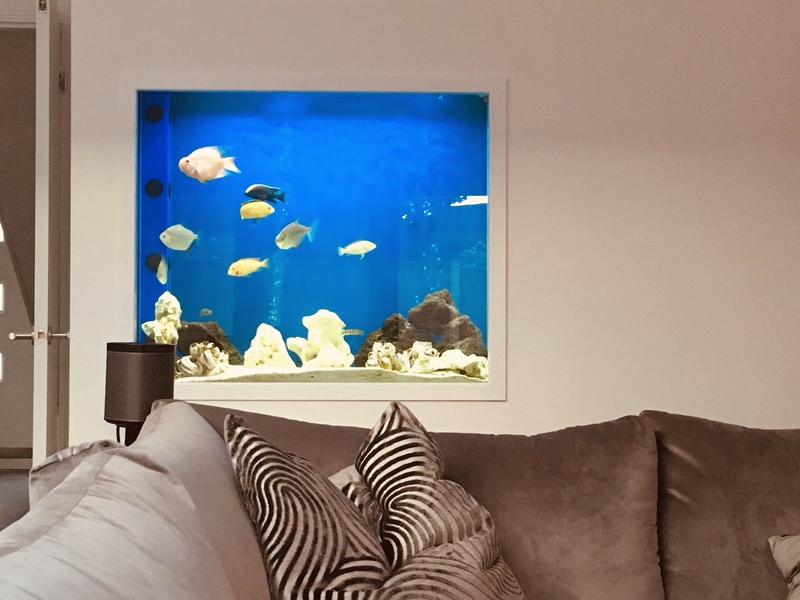 I have many happy customers who still own their aquariums which we installed as early as the 1990’s, and can provide references and testimonials from a wide range of aquarium projects large and small - perhaps similar to one you have in mind. Do you have an aquarium project?